Air Transat says it will pay the hundreds of passengers bottled up on four aircraft for five to six hours last July in Ottawa $500 each in a settlement mandated by the Canadian Transportation Agency. 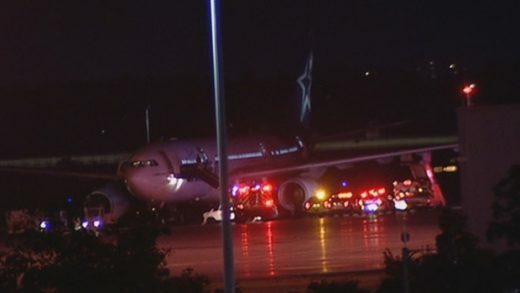 The planes were supposed to land in Montreal after flights from Europe but were diverted by weather. They needed fuel to get back to Montreal and were among about 20 aircraft sent to Ottawa, including an A380. The airline made the decision to keep the passengers on board rather than let them off to find their own way back to Montreal and the CTA said in a ruling Thursday that was the wrong call. Under its agreement with passengers, they should have been able to get off the plane after a 90 minute delay, subject to safety considerations and they should have been provided with adequate food and water. Instead they were stuck in the aluminum tubes for up to six hours in sweltering heat with scant supplies. One passenger called 911 and first responders and police boarded the plane. Air Transat says it will train its staff better and amend the fine print on its tickets, the so-called airline’s tariff.